See full documentation on ShellVex UI and Functions. 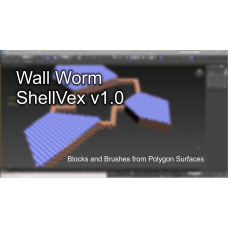 New Geometry Class New Geometry class named ShellVex in the Create Tab under the Wall Worm category. 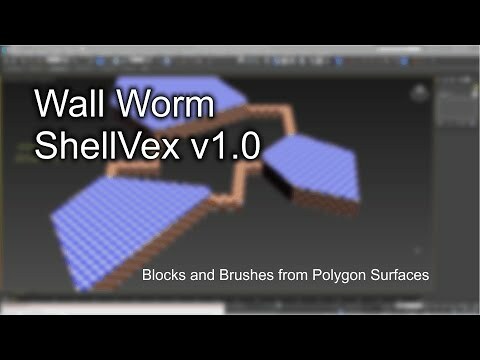 UV Controls UVs can be derived from the source geometry for faces directly derived from the Source. Other generated faces have global UV controls. VMF Exporter Link Has native options for exporting as a brushes, func_detail and as 3D skybox in the Wall Worm and Wall Worm Pro VMF exporter.